The young singing waiter had been writing poems which he always imagined as songs for some time. 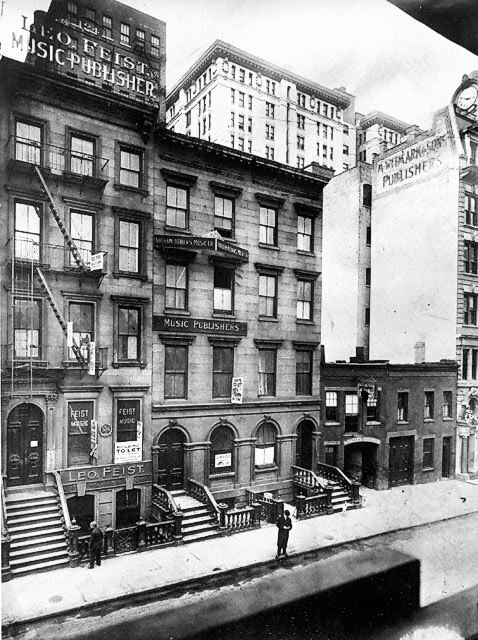 And so that day in the early 1900’s when he found himself in front of an actual music publisher in New York’s burgeoning ‘Tin Pan Alley’*, he was more than a little excited. 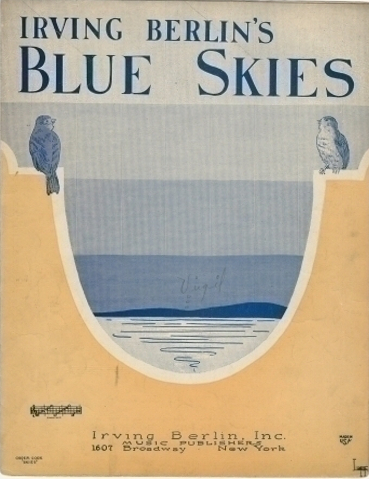 He had never composed a tune yet in his young life – only poems and lyrics. But on that day long ago in the time it took for him and the publisher to walk across the hall, he had composed his very first complete song, tune and lyrics. 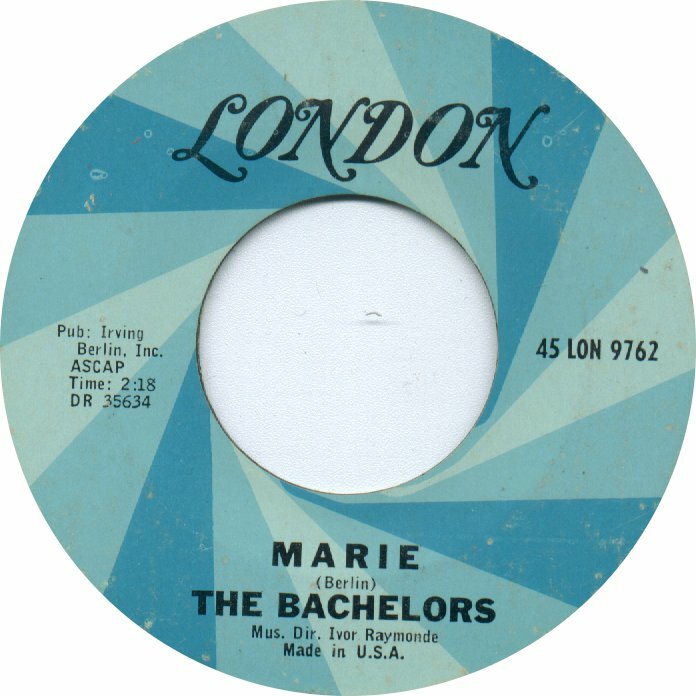 That first song was called “Marie From Sunny Italy” and it netted our young composer a total of 37 cents in composer’s royalties. It didn’t matter. The door was opened – Israel Beilin was on his way! The Beiline family migrated to the United States in 1893 when Israel was five years old. His family were fleeing their home in Siberia where pogroms were being carried out against the Russian Jewish population. The pogroms in Russia began occurring in the 18th century after the Russian Empire began acquiring huge areas of land in the territories of Lithuania and Poland where Jews at first were reluctantly permitted to live. The pogrom uprisings first began to occur in the early 1800’s and then flared up again in the 1880’s when the Jews were blamed for the assignation of a Tsar. The Beilins landed on New York City’s lower East Side and settled in with Israel’s father working at a meat market. Israel’s father unexpectedly died when Israel was 13 years old. He quit school and took a job selling newspapers to help support his family. When hawking his papers on the streets of New York City Beilin would exuberantly belt out songs earning coins from passers by. Then young Israel took on a job plugging songs by aspiring composers out of Tin Pan Alley – visiting saloons and singing the new songs to patrons to raise awareness and popularity. 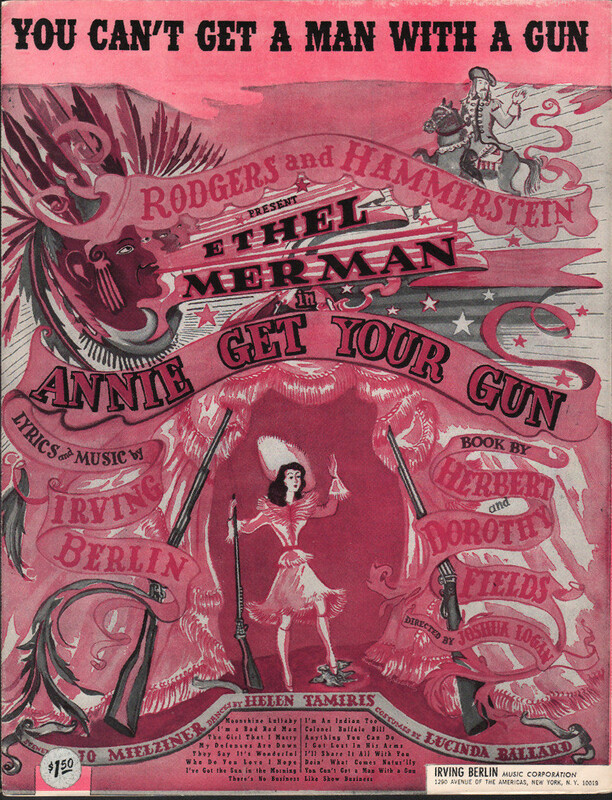 He then took on a job as a “plugger” – a practice in New York where young boys would attend a vaudeville performance and at the end of an act would rise from their seat in the back of the performance hall and loudly and boisterously sing out a song or two which had been included in the show – again with the purpose of pushing sheet music sales and song popularity. So now back to that first composition; here we had a young man hoping for a break – an entry path into Tin Pan Alley. And first time out of the shoot he delivered a set of lyrics and a tune – a combination that was very rare along 28th Street where the song writers, singers and publishers congregated – Nearly every song at the time was the product of a two-man composing team – song and lyrics. And his first effort – though not gaining the attention of the sheet music buying public or a popular entertainer of the day – netted our young man an identity that he would carry with him for the rest of his days. The publisher of the song credited our composer on the resulting sheet music incorrectly as “I. Berlin”. 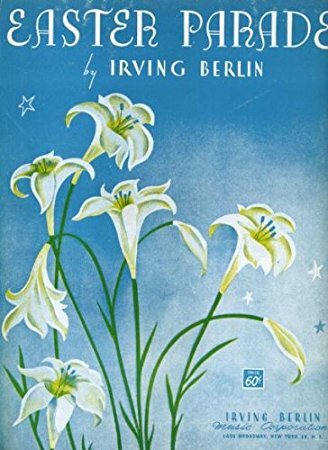 Israel loved the misnomer – and further to that he jumped on the opportunity to expand the “I” to a name which carried a ring to it “Irving”. 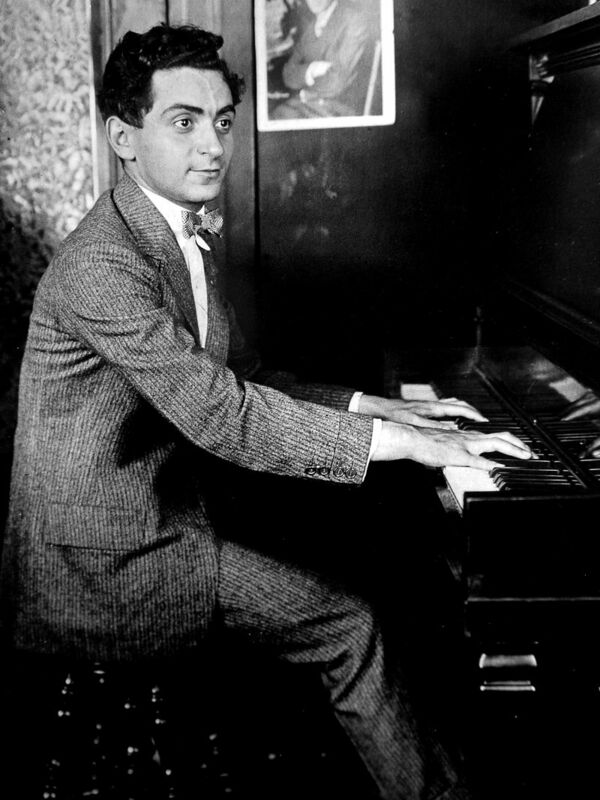 A true American Icon was born – Irving Berlin. 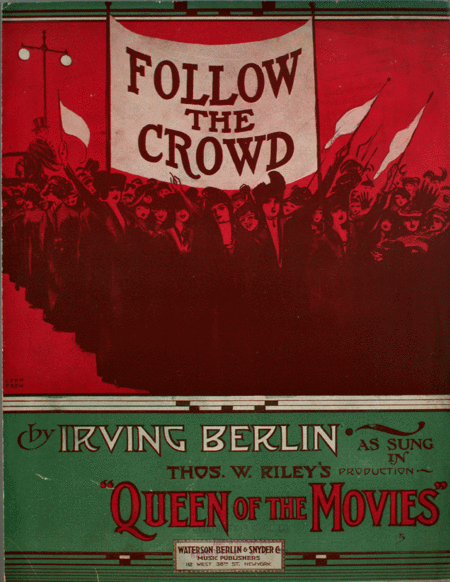 Irving Berlin was an enduring talent. He not only survived across the decades with ever-evolving trends in music – he thrived – and most often led the way. He was there in World War I with “Oh! 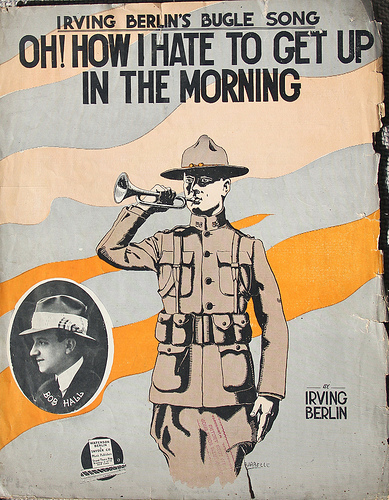 How I Hate To Get Up In the Morning” based on his own experience serving in the War. His first big hit was an effort to accommodate the very popular “Rag Time” music which had flourished from the late 1800’s into the 1900’s. 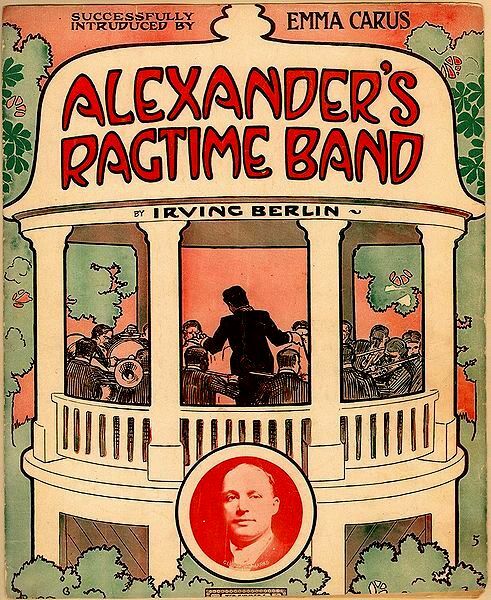 Ironically the song he composed “Alexander’s Rag Time Band” was not “Rag Time” in structure at all – but little did that matter. 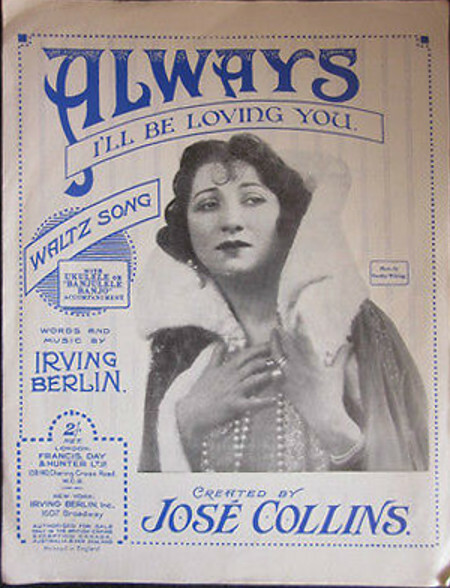 It became the most popular song published up until that time (1911) selling millions of copies of sheet music and the rapidly gaining in popularity “78” disc. (The early 78 rpm discs were actually delivered in various speeds in increments between 78 and 80 rpm’s until 78.25 rpm’s was settled on as a standard in 1925. According to a Yale University Study published in 2001 “because it was suitable for most existing records, and was easily achieved using a standard 3600-rpm motor and 46-tooth gear (78.26 = 3600/46)”. 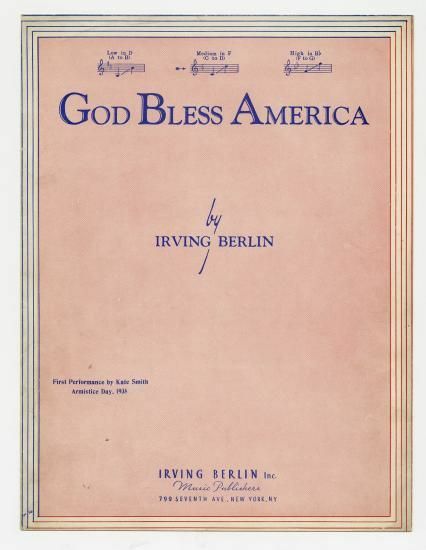 In 1918 Berlin composed a tune which went nowhere during World War I . Twenty years later in response to the next big war Berlin dusted off the song – tweaked the lyrics and “God Bless America” by Kate Smith practically became the national anthem. 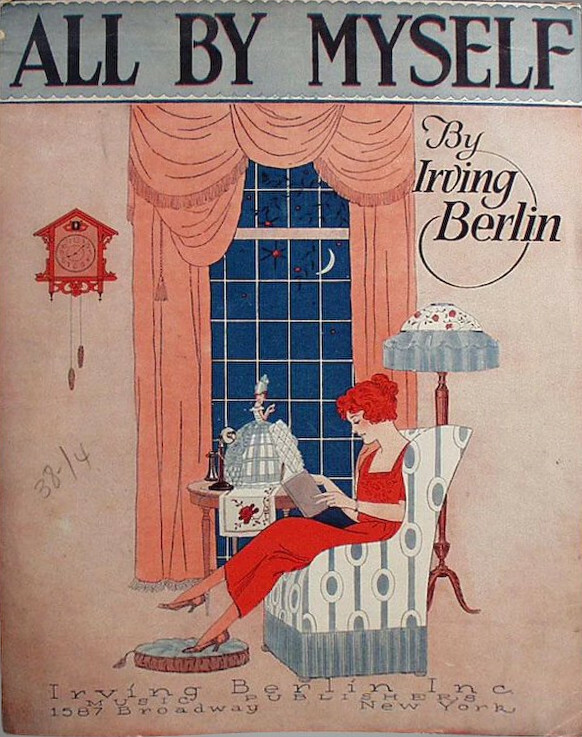 Berlin is credited with steering popular music into a danceable form when he composed two songs “Araby” in 1915 followed by “Hula Hula” in 1916. 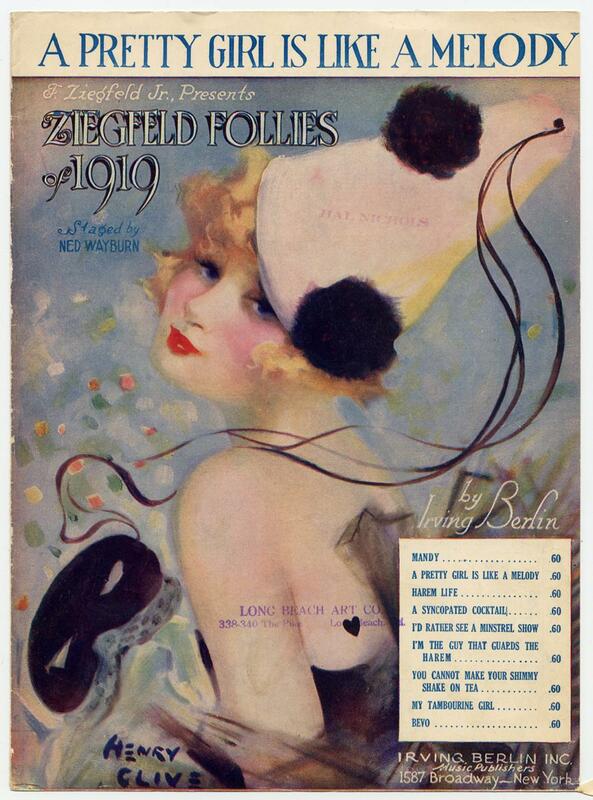 Then in 1919 he launched the “topical song” taking music in a whole new direction delivering “A Pretty Girl Is Like a Melody” which became the theme for Florenz Ziegfeld’s popular theatrical series which was launched in 1907 and continued on until the 1930’s. Berlin’s composition fit perfectly when sound came to the motion pictures. 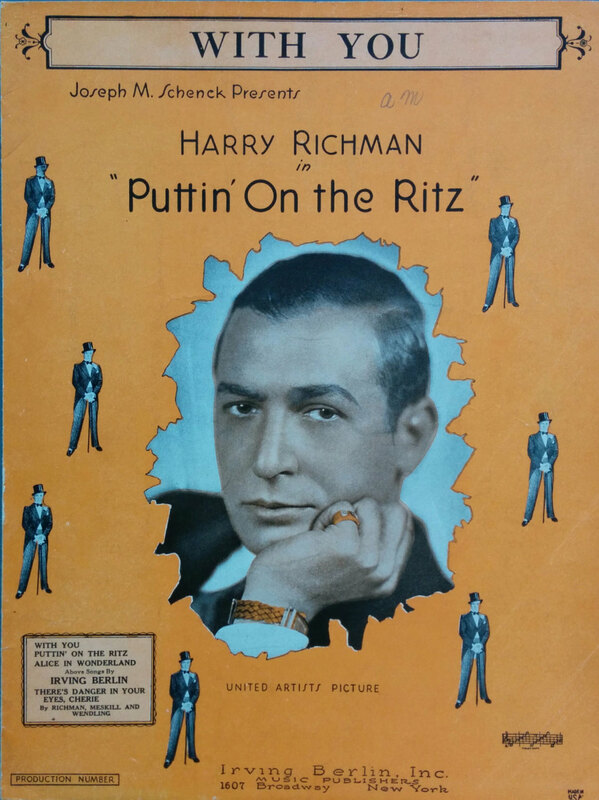 In the late 1920’s Berlin began composing in earnest for motion pictures kicking things off with the title track of a motion picture released in 1930 “Puttin’ On The Ritz”. This marked Berlin’s transition from a New York based career to a migration to Hollywood where a burgeoning motion picture industry was calling. “Puttin’ On the Ritz” provided the impetus for spectacular dance numbers – and in the motion picture – it was Fred Astaire who delivered! 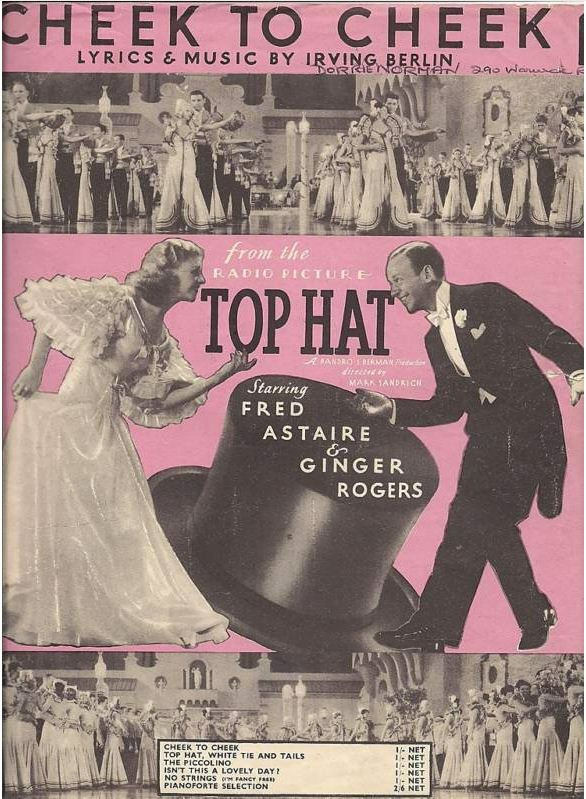 Berlin and Astaire would team up again in 1935 with Astaire singing to and dancing with Ginger Rogers performing Berlin’s “Cheek To Cheek” in the motion picture “Top Hat” – a movie featuring a complete song track composed by Berlin – once again expanding his adventures in composing. During this time period many Tin Pan Alley composers were falling by the wayside unable to adapt to the changing musical tastes in America – but not so for Berlin. 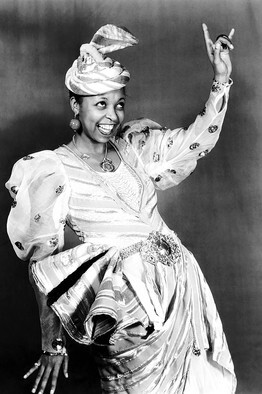 He composed the monster song “Heat Wave” featured in “As Thousands Cheer” in 1933 and sung by Ethel Waters. Back in 1917 Berlin had written a little ditty titled “Smile and Show Your Dimple” which flopped at the time (By 1917 Berlin had already composed 100’s of songs – many were not destined to hit it big). It was actually composed intended as a WWI tune alluding to a young girl saying goodbye to her soldier headed off to war. 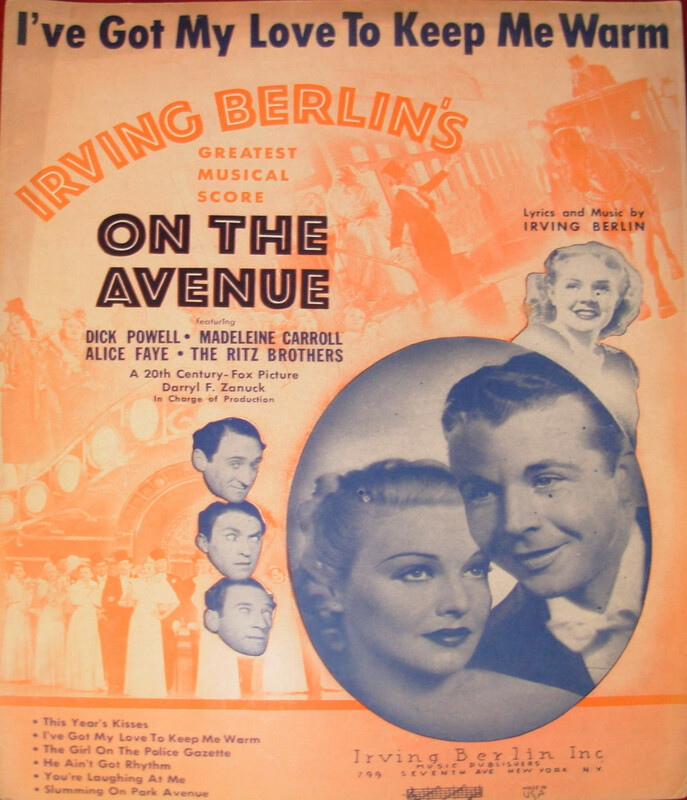 In 1933 Berlin pulled the song out of his trunk of past tunes, reworked the lyrics and “Easter Parade” was born – the song also appearing in the motion picture “As Thousands Cheer”. Then, in 1940, Irving pulled out a game changer from his bag of tunes – but not immediately. 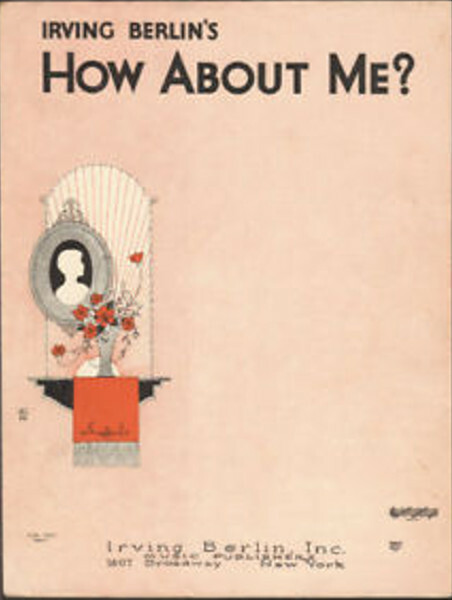 The song would go unnoticed for the most part initially, first performed by Bing Crosby in a 1941 Christmas day radio show (Kraft Music Hall). 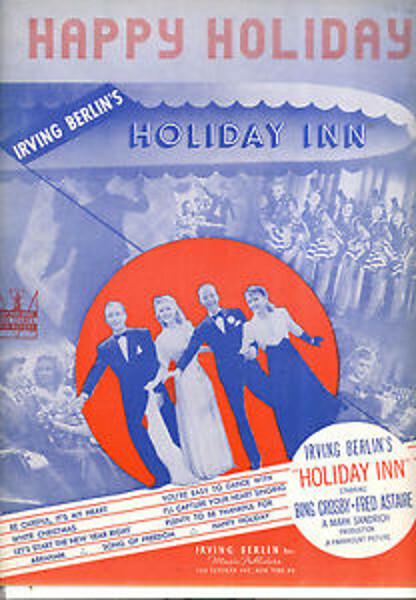 The following year the song would be featured in the motion picture “Holiday Inn” (music track by Berlin of course) but would not attract much reaction from the music buying public – who were more taken in by the film’s feature song “Be Careful, It’s My Heart” which charted at number 14 by Bing Crosby. Then the holiday season rolled in in 1942 and “White Christmas” would explode onto the charts – hitting the top spot and remaining there for 11 weeks. (It would be Crosby’s 163 charting record at the time). 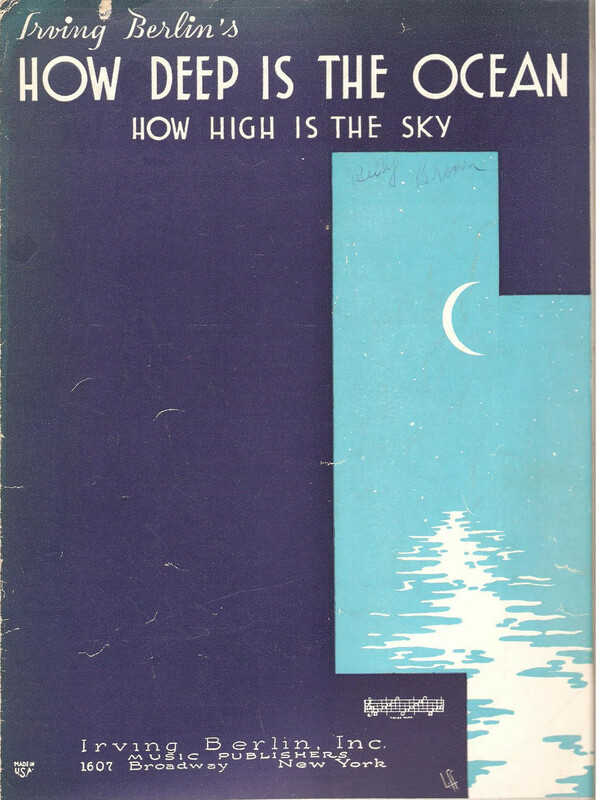 Crosby’s version would chart repeatedly in consecutive years from 1943 through 1949 – reaching the top 10 each year. 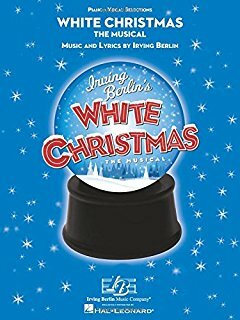 There would be additional appearance for Bing and White Christmas on the charts – 1955 (#7), 1957 (#34), 1960 (#26), and1961 (#12). The song is the most recorded song of all time and Crosby’s version the biggest selling of all time with over 50 million copies purchased. 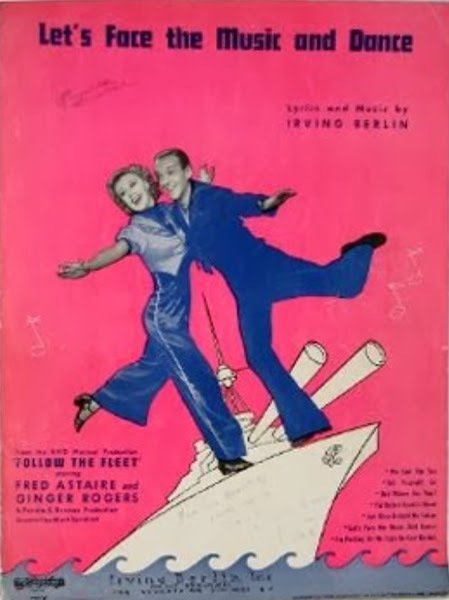 The song was ranked the second most popular song of the 20th Century – behind Judy Garland’s “Over the Rainbow” (as determined by members of the RIAA. 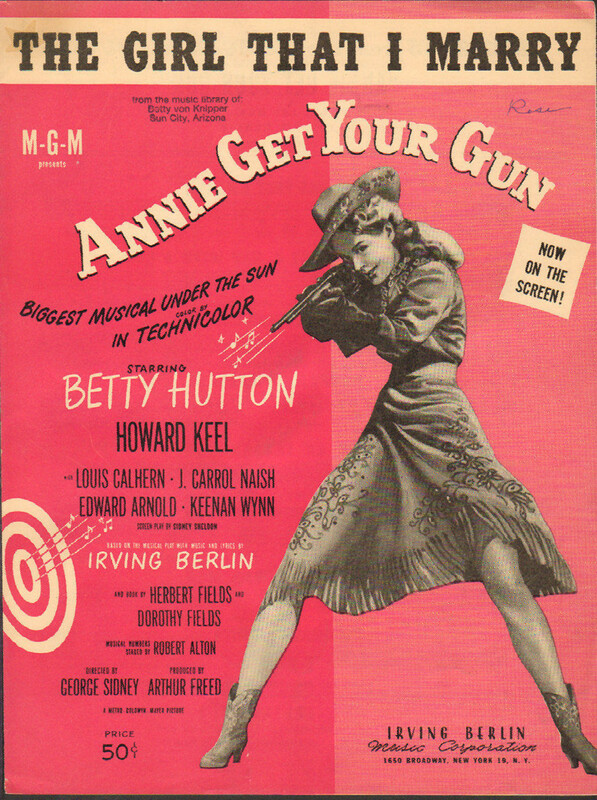 One final Berlin tale: The movie music track “Annie Get Your Gun” was overseen by the composing duo of Rogers and Hammerstein – but not as composers – For that task the duo chose Jerome Kern. It was not to be – with his passing away before he could begin composing. So they turned next to Irving Berlin. Berlin was skeptical whether or not he could compose songs in a “country” sort of vein not understanding the vernacular. 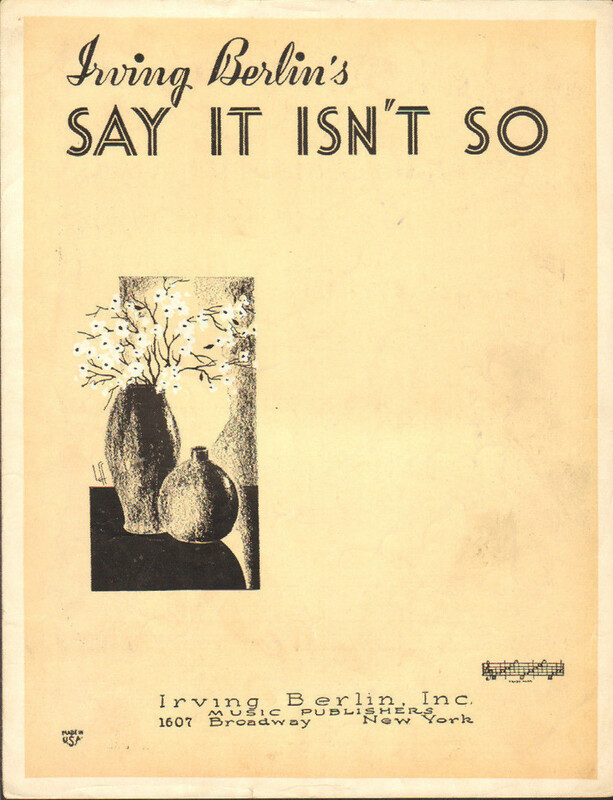 Rogers and Hammerstein told him it was simple – just “end words in ‘in’ – where “doing” becomes “doin'” and “singing” becomes “singin'” and so on. 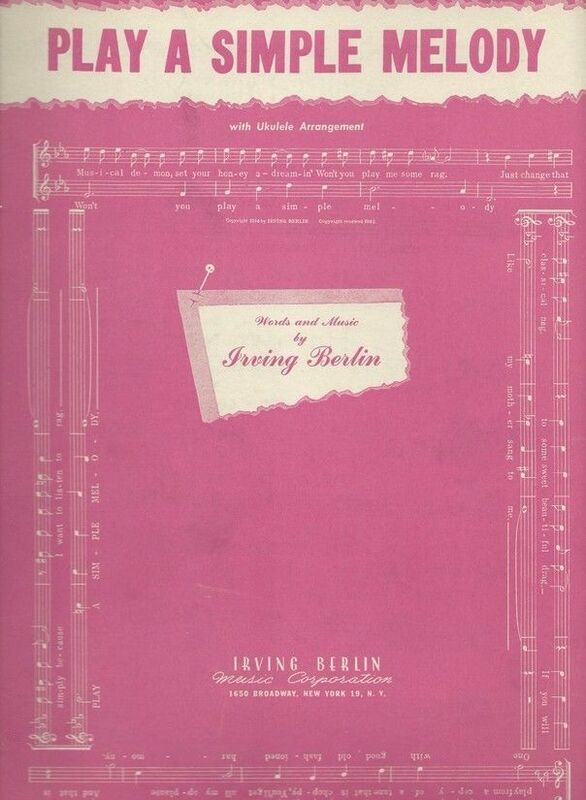 Berlin went to work and then returned to play his songs for the pair of composers. He worked his way through his collection – meeting with their approval. Then Berlin told them he had one more song for them. He banged out the tune on his piano and sang along. When finished he looked up at the two famous song writers. They were completely silent. Berlin’s first thought was that he had presented a dud. 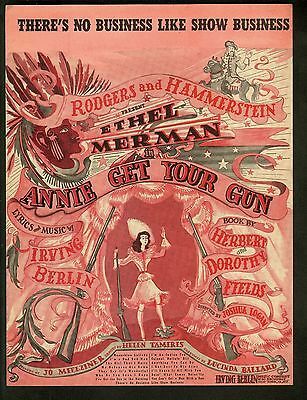 Not so – Rogers and Hammerstein were simply overcome and stunned. 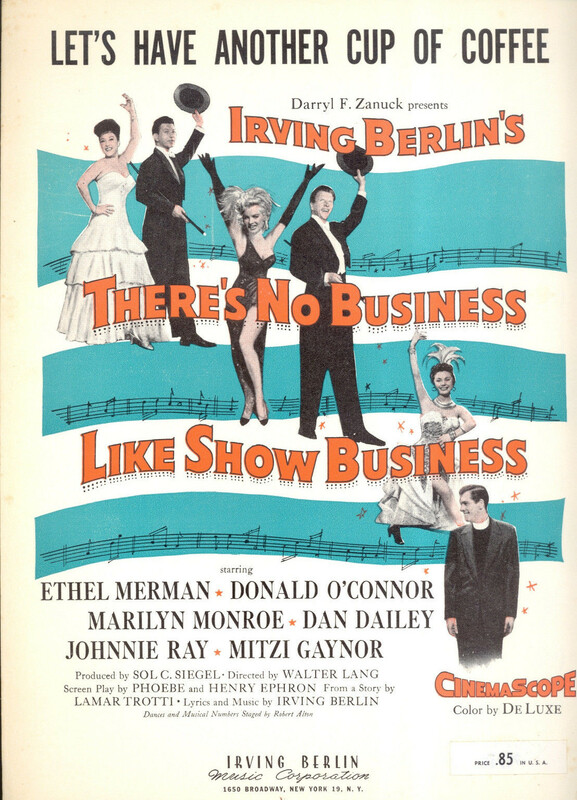 The song they listened to that day – “There’s No Business Like Show Business”! 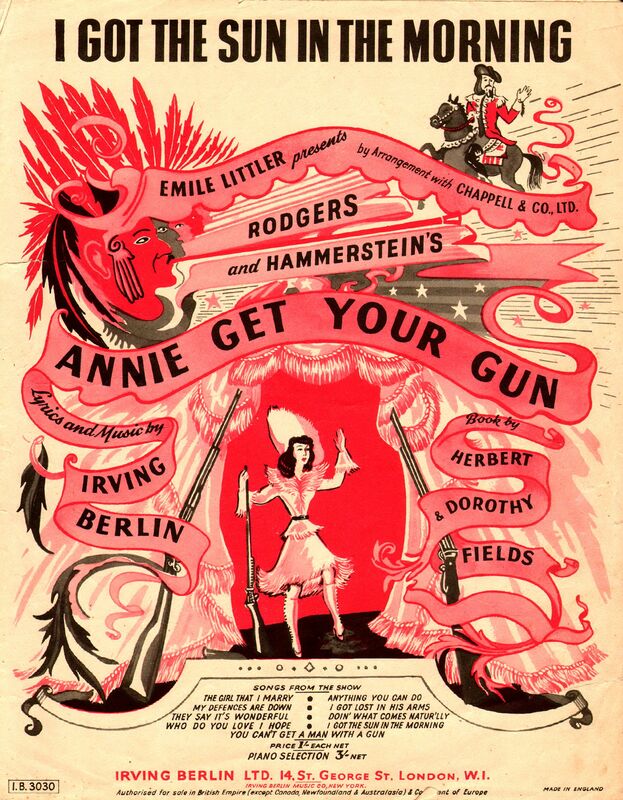 At first it was thought the song would not be included in the sound track to “Annie Get Your Gun” – but it was – and to Rogers and Hammerstein – they were convinced that Berlin had once again delivered a masterpiece – which he did. * NOTE: It is believed that the identifier for the music composing/publishing district in New York City which sprung up in the early 1900’s known as “Tin Pan Alley” came about when a magazine writer assigned to write a story about the stretch along 28th and while strolling along 28th Street listening to the sounds emerging from the composers pianos likened it to a “tinny” clanging sound and thus “Tin Pan Alley”. 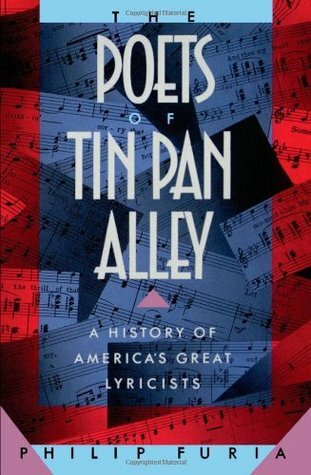 A very informative narrative regarding Tin Pan Alley can be enjoyed by obtaining a copy of “The Poets of Tin Pan Alley – A History of America’s Great Lyricists” by Philip Furia. I have no idea where you get all this stuff, but it’s wonderful! 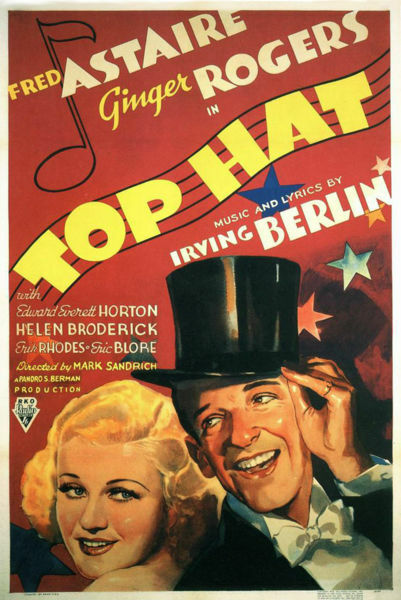 And American popular music certainly wouldn’t have been the same without Irving Berlin. Thanks for both the words and pictures! I always am amazed at the guys and gals who have all these magical tunes and lyrics inside their hearts waiting to come out – I looked at Irving’s entire composition output and it was simply staggering – So for every “Puttin’ On the Ritz” there were 30 or 40 that didn’t make the light of day – Wonder if a revisit would unearth some additional gems? I’d bet there’s at least one!